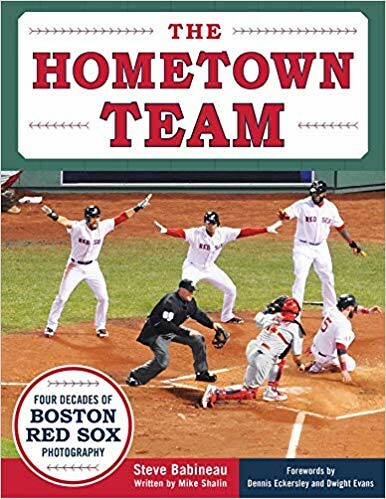 Mike Shalin, author of "The Hometown Team: Four Decades of Boston Red Sox Photography" will be here to talk about his book and all things Boston Red Sox! From Amazon.com: "For Red Sox fans eager to relive the glory days of their favorite players, The Hometown Team enables them to do just that, through the lens of longtime photographer Steve Babineau. From star and support players, to members of the grounds crew, Red Sox staff, alumni, and some opposing players, this book features Fenway's most memorable characters from the past forty years, with behind-the-scenes images of the ballpark during that time as well. This scrapbook-style book features fun and insightful commentary from veteran sportswriter Mike Shalin and images of the following BoSox legends: Carlton Fisk, Carl Yastrzemski, Jim Rice, Wade Boggs, Jonathan Papelbon, Dustin Pedroia, David Ortiz, Curt Schilling, Kevin Youkilis, Jon Lester, Manny Ramirez, Pedro Martinez, Jason Varitek, Johnny Damon, Mookie Betts, and many more."